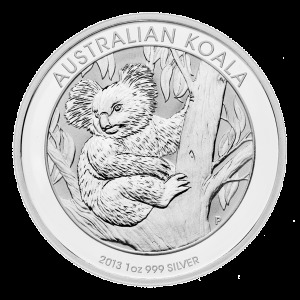 Buy 1 oz 2014 Australian Koala Silver Coins | ?? 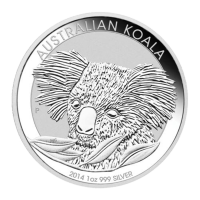 1盎司2014年澳大利亚考拉银币 This is the latest issue in the Koala silver coins series from Perth Mint, and it is continuing the tradition of annual reverse design change. The reverse of this issue is an image of an adult koala's face and a sprig of gum leaves. 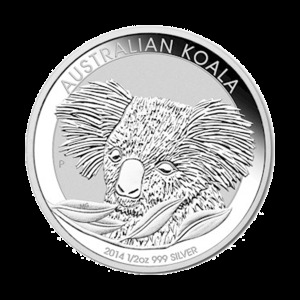 Reverse Inscription includes AUSTRALIAN KOALA, 2014, 999 SILVER and the size. 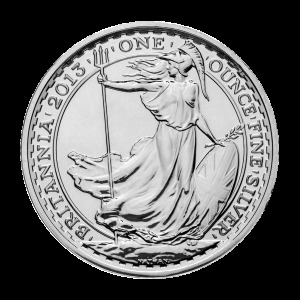 The obverse of the 2014 Australian Koala Silver Coins contain the Ian Rank-Broadley effigy of Queen Elizabeth II of England, along with a face value inscription of AU$1. These coins is considered legal tender of that country under the Australian Currency Act of 1965.